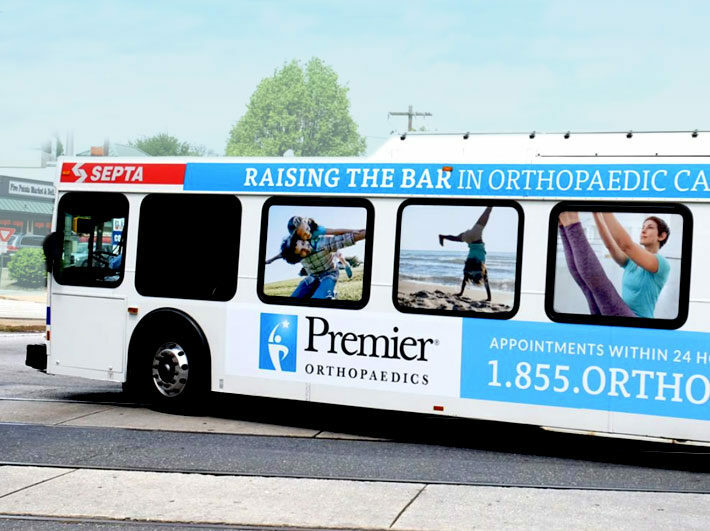 Like the saying goes, “heavy is the head that wears the crown.” As Delaware and Chester County’s largest orthopaedic provider, as well as the official orthopaedic provider of the Philadelphia Union, Premier Orthopaedics knows that staying on top means never resting on their laurels. As a successful ad agency for more than 30 years, we can relate. 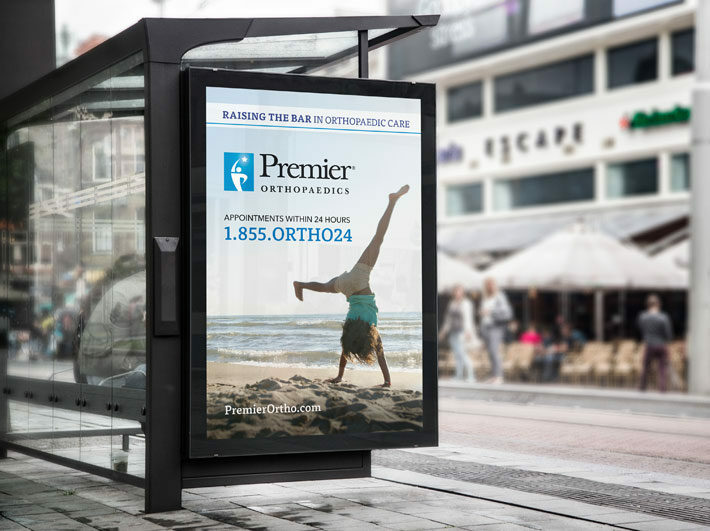 So in 2016, when Premier approached Signature Communications to create a campaign that would catapult their market presence to an even higher level, we knew we had our work cut out for us. 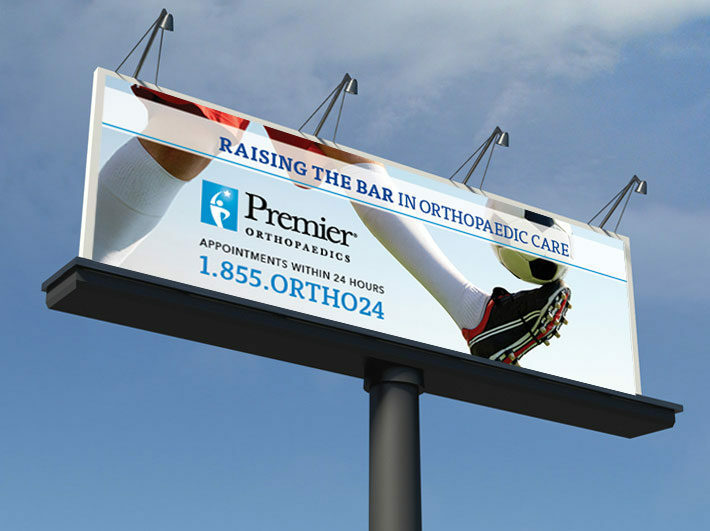 Following weeks of meetings, both internally and with Premier’s marketing team, it was decided that our campaign theme should speak to the fact that Premier’s renowned reputation is something they have to earn every day. Sure, past successes were important, but even more important, perhaps, was the idea that rather than riding on the coattails of yesterday’s accomplishments, Premier specialists never stop pursuing tomorrow’s possibilities. 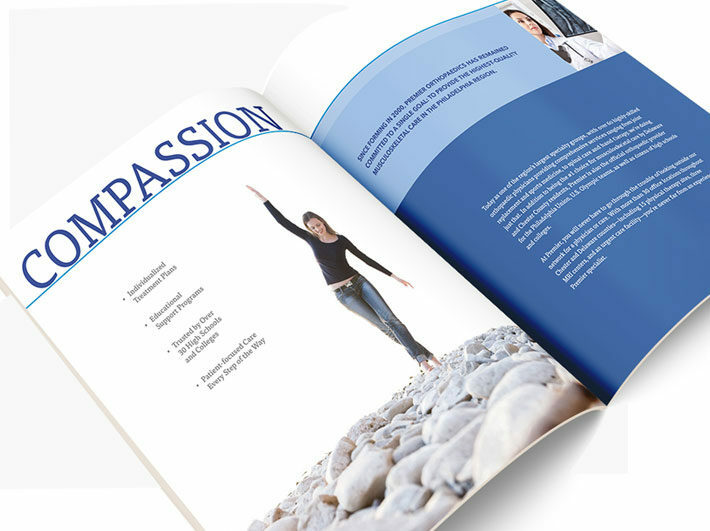 Once this overall messaging theme was established, we set about crafting a tagline that would encapsulate that theme and form the framework for all campaign assets. One that that would not only reflect Premier’s core organizational beliefs; but resonated with an audience as well. 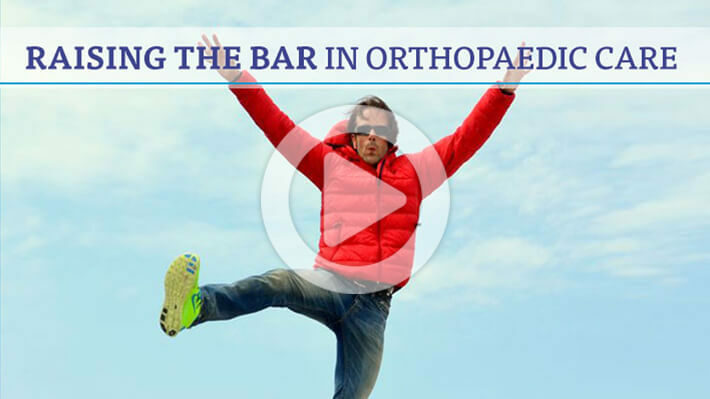 Our answer would come in the form of six simple, yet powerful, words: Raising the Bar in Orthopaedic Care. 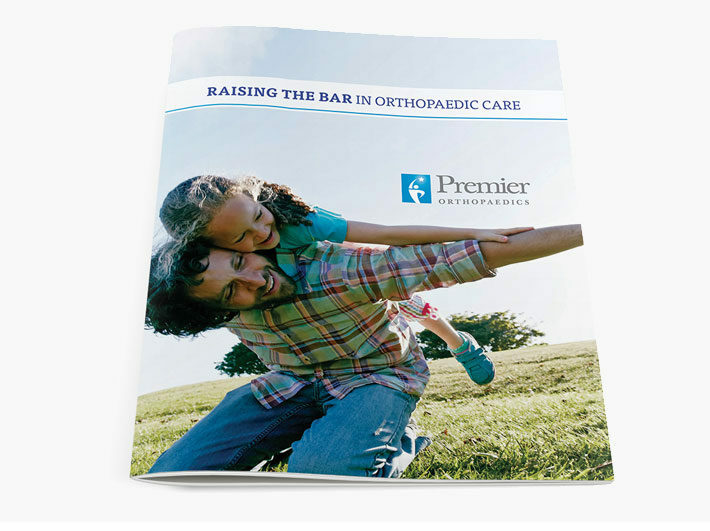 Before we could officially roll out the ‘Raising the Bar’ campaign, however, one last hurdle stood in the way: consolidating dozens of individual Premier practices into a lone corporate identity. 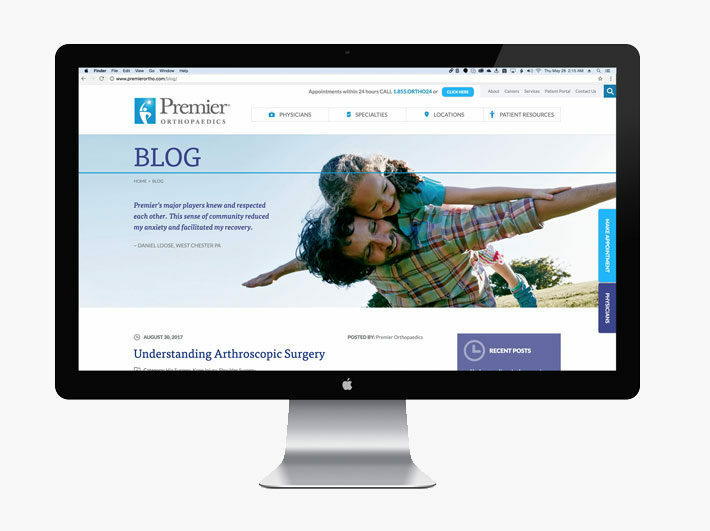 To bring the brand under a solitary organizational umbrella, Signature would create a new Premier Orthopaedics website based on a fresh marketing strategy. Of course, before we could do any of that, however, we would first need to develop a host of separate Premier phone numbers into a single one capable of automatically funneling callers to specific locations and specialties. 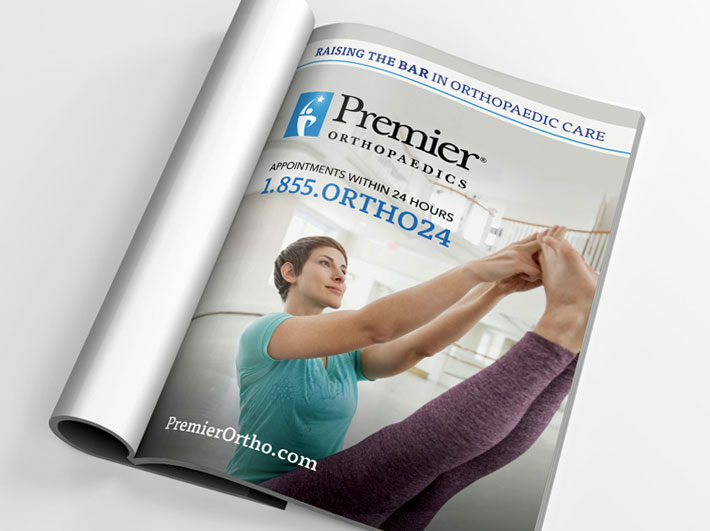 1.855.ORTHO24 (the ’24’ referring to the 24 hour or less turnaround time on appointment requests) would serve as that number, acting as a universal call-to-action mechanism on all promotional materials. Now, with all of our foundational elements now firmly in place, we rolled up our sleeves and got to work bringing the campaign to life. 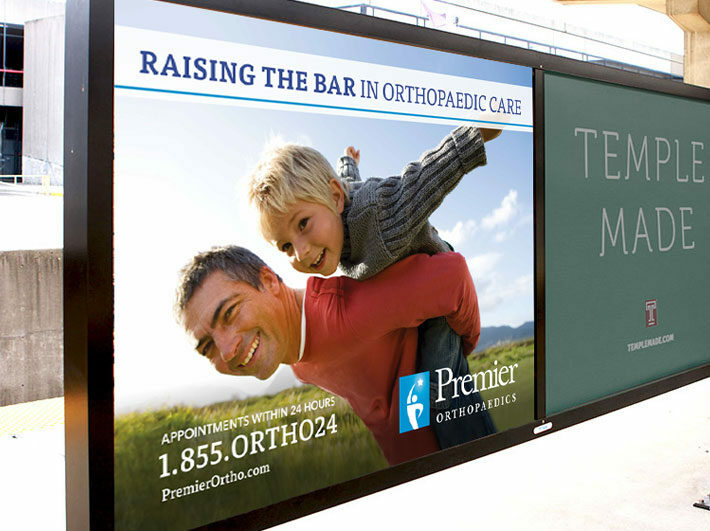 Utilizing print, television, digital, transit, social media and outdoor marketing, as well as a completely redesigned and rebuilt website, the campaign has far exceeded all expectations. 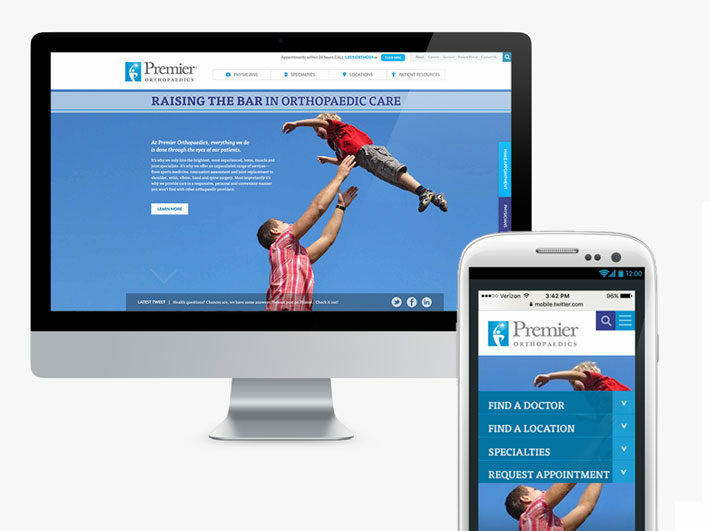 Website page visits to PremierOrtho.com have tallied an incredible 1.3+ million views —an unbelievable 75% of which being new users. 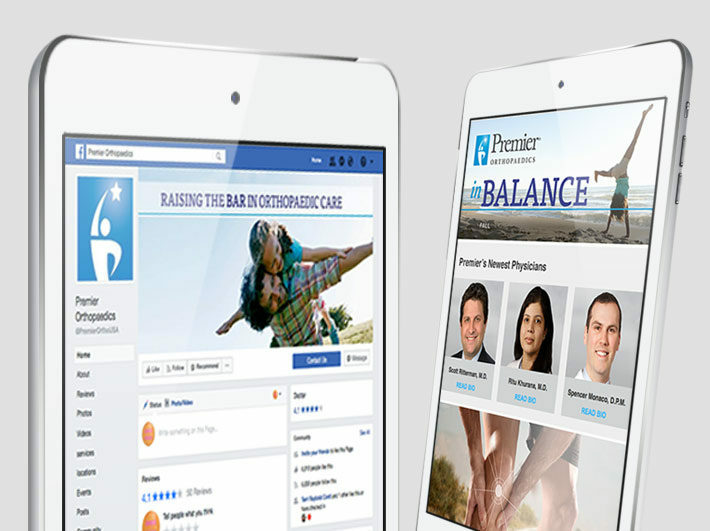 In response, 2,400 online appointment form submissions alone have been processed since its launch. What’s more, a breakdown of the numbers reveals that 2017 is projected to outperform the impressive results the campaign garnered in 2016. Guess Premier isn’t the only one raising the bar!